Grind ½ cup oats in blender. Combine cereal, whole oats, ground oats, protein powder, and ground flax in a bowl. In a microwavable safe bowl, mix together brown sugar, peanut butter, and honey and heat in the microwave in 15 second intervals, stirring intermittently, until melted. Pour liquid mixture into dry mixture and stir to combine. Refrigerate 30 minutes. 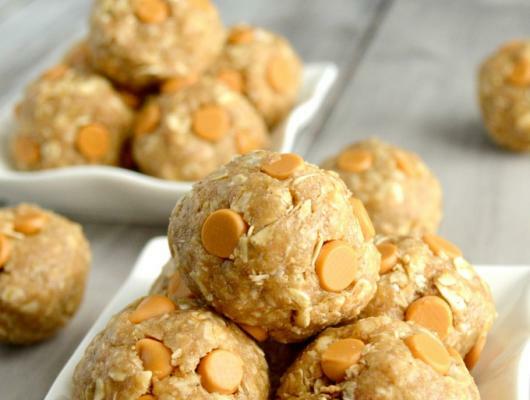 Remove from fridge and roll into balls, then press butterscotch chips into each ball. 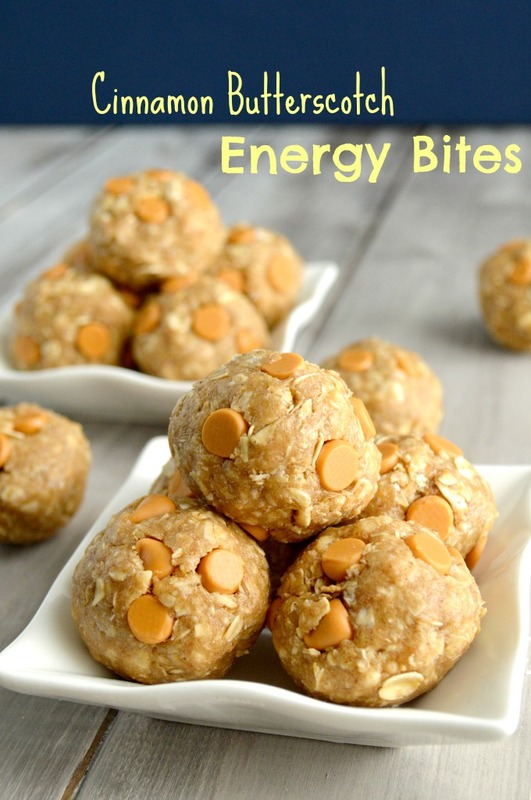 These Cinnamon Butterscotch Energy Bites are a super simple and healthier snack option that take just minutes to throw together. Keep them wrapped in twos in the fridge for a quick grab!